The following events below have been granted Asia Trail Master Candidate Race label for the upcoming season 2019. This means the events are in pole position to become an ATM points race, if a slot opens up in the country in question. Event organisers can always apply for Asia Trail Master membership and enjoy all the promotional and marketing benefits this entails. Please contact us on info@asiatrailmaster.com for further details. New runable trail race on the island west off the coast of Sabah. 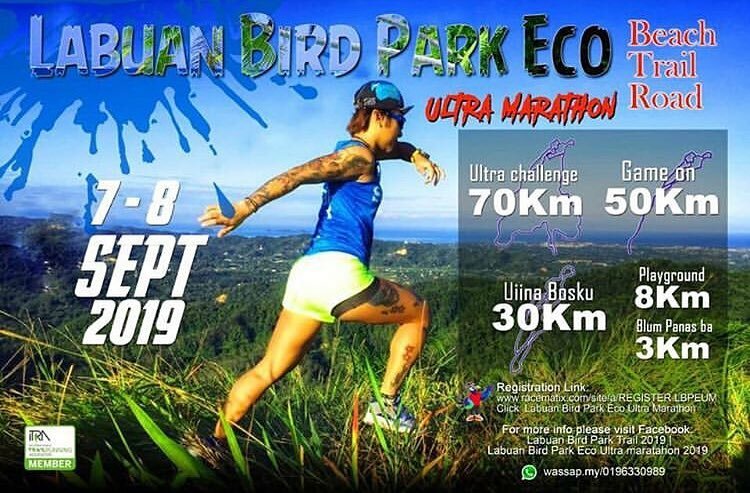 The Labuan Bird Park Eco Ultra Marathon features a combination of natural trails, beach trails and road (25%). Registration open via Racematix . First ever Indian event to join the ATM community. This breathtaking race of 60 km takes place in the north of the country at high altitude. It is quite remote, but your efforts will be highly rewarded. Shashwat Rao, a regular competitor in our championship, is one of the technical advisers. Registration via the website .